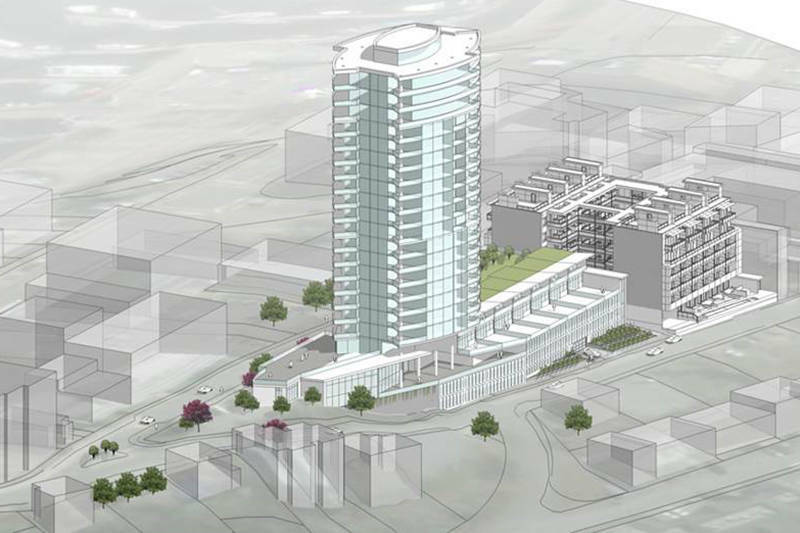 I just heard that Wertman Development has proposed a new development Downtown Nanaimo that looks like it would be a fantastic addition to the harbour city horizon. This area is definitely going to be changing and with more housing options available that look this great, bring it on. There’s not a whole lot of information or pictures at the moment but we know the project is named ‘Marcielo‘ and is set to be more than 20 stories if approved. The views in this location are going to be stellar and the building would potentially come with an indoor/outdoor pool as well as a private health and fitness club. Plans for Marcielo are looking to be around 90 units, most of which will be two-bedrooms. Wertman also is planning a row of townhouses along Skinner Street. The other side along Chapel will allow for retail so expect a restaurant, gym and a few great shops to slide in if this project is a go.